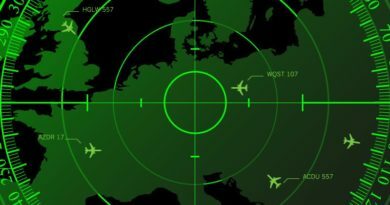 Microwave radio system operating at frequencies above 1 GHz propagate manly in a line-of-sight or free space mode, whether they are on the ground or in satellite systems. 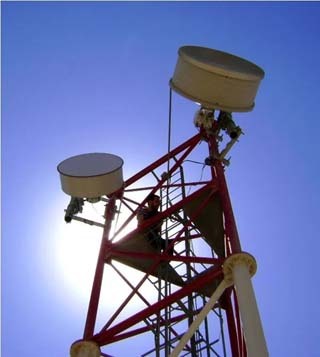 These systems provide the needed transmission bandwidth and reliability to allow the transmission of many thousands of telephone channels as well as several television channels over the same route. Carrier frequencies in the 3-12GHz range are used. Since microwaves-travel only on line-of-sight paths, it is necessary to provide repeater stations at about 50-Km intervals. Transmitter output powers are low (they may be less than 1 watt) because highly directional high gain are used. The equipment needed to provide one channel of a microwave system. It consists of two terminal stations and one or mere repeater station. At the sending terminal, the inputs comprising several hundred telephone channels and / or television channels are frequency multiplexed within the base band band pass of 6MHz. The base band frequency modulated a 70 MHz IF signal, which is then up converted to the microwave, output frequency fl within the 4 GHz band. 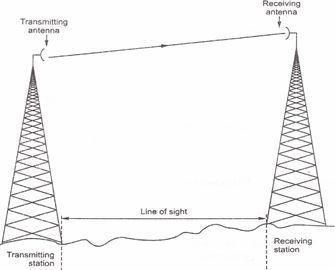 This signal is amplified and fed through a directional antenna toward a repeater station some 50Km distant: The repeater station, the signal at f1 is received on one antenna pointed toward the originating station, down converted to the IF, amplified, and up converted to a new frequency f2 for retransmission toward the receiving terminal station. When a chain of several repeaters, alternate links in the chain use alternate frequencies so that retransmitted energy at a repeater station does not feed back into its own receiver. Polarization is that characteristics of an electromagnetic wave which gives the direction of electric component of the wave with respect to ground. 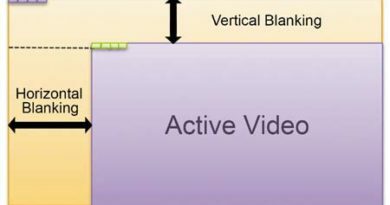 When the direction of electric component of an electromagnetic wave is perpendicular to the ground then this is called vertical polarization. When the direction of electric component of an electromagnetic wave is parallel to the ground then this is called horizontal polarization. In linear polarization, the direction of electric field with respect to ground is either vertical or horizontal. Linear polarization is when the electric vector remains in the same plane. This polarization occurs when two linear polarized wave (Horizontal and Vertical) are simultaneously radiated in the same direction from the same antenna provided that these two linear POLARIZED WAVES ARE PREPENDICULAR TO EACH OTHER (90° Phase difference) if the amplitudes of two polarized waves (horizontal and vertical) are equal, then it results circular polarization. And if the amplitudes of the two linear polarized waves are not equal then it results elliptical polarization. The reduction in power density due to non free-space propagation is called absorption. Earth’s atmosphere is not a vacuum. Rather, it is made up of atoms and molecules of various substances, such as gases, liquids, and solids. Some of these materials are capable of absorbing electromagnetic waves. As an electromagnetic wave propagates through Earth’s atmosphere, energy is transferred and molecules of the atmosphere. Wave absorption by the atmosphere is analogous to an I2R power loss. Once absorbed, the energy is lost forever and causes attenuation in the voltage and magnetic field intensities and a corresponding reduction in power density. 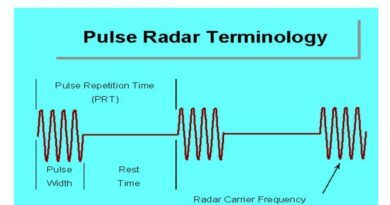 Absorption of radio frequencies in a normal atmosphere depends on frequency. atmospheric absorption in decibels per kilometer due to oxygen and water vapor for radio frequencies above 10 GHz. It can be seen that certain frequencies are affected more or less by absorption, creating peaks and valleys in the curve-wave attenuation due to absorption does not depend on distance from the radiating source, but rather the total distance that the wave propagates through the atmosphere. In other words, for a homogeneous medium (one with uniform properties throughout), the absorption experienced during the first mile of propagation in the same as for the last mile. Also, abnormal atmospheric conditions such as heavy rain or dense fog absorb more energy than a normal atmosphere. Atmospheric absorption (q) for a wave propagating from R1 to R2 is r (R2-R1), where r is the absorption coefficient. Therefore, wave attenuation depends on the ratio R2/1R1 , and wave absorption depends on the distance between R1 and R2. Because the conditions in Earth’s lower atmosphere are subject to change, the degree if refraction can vary with time. A special condition called duct propagation occurs when the density of the lower atmosphere is such that electromagnetic waves are trapped between it and Earth’s surface. The layers of the atmosphere act as a duct, and an electromagnetic wave can propagate for great distances around the curvature of earth within this duct. 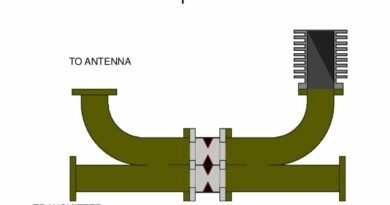 Duct propagation becomes possible only at N1/4 !frequencies above 1000MHz. Microwaves are thus continuously refracted in the duct and reflected bye the ground, so that they are propagated around the curvature of the earth for distances, which sometimes exceed 1000Km.